This. looks. so. good. :) Pinning! Right!? Hahaha. I am sure there is nothing wrong with sitting in a bowl of cheesy rice. Im saving to enjoy this soon! What a perfect side dish! 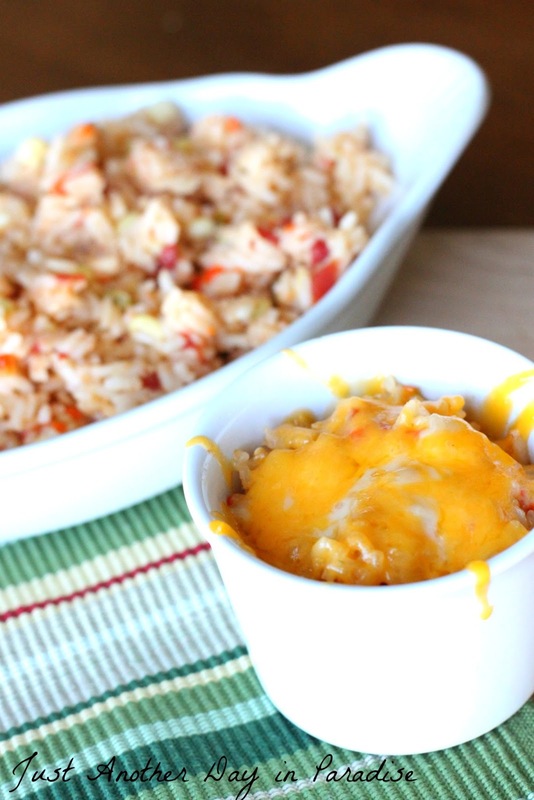 My kids aren't big rice fans, but I think the cheese might do it! Just pinned! Cheese really does make everything better! Wow - this is my kind of rice! Oh I love the melted cheesiness! This looks wonderful. 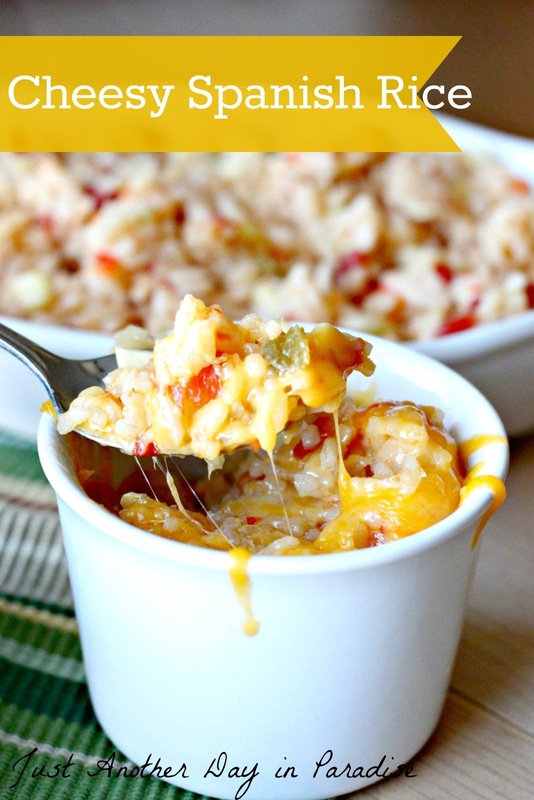 Love Spanish rice and think I'll love it even more with cheese on itThanks so much for linking up over at Finding the Pretty & Delicious Link Party. Hope you'll join in again this Saturday!! Hi Larissa, Thank you for sharing this recipe. I am definitely going to give it a try! PS - Your pictures look fantastic too! I made this as a side dish with marinated pork loin and it was so good. 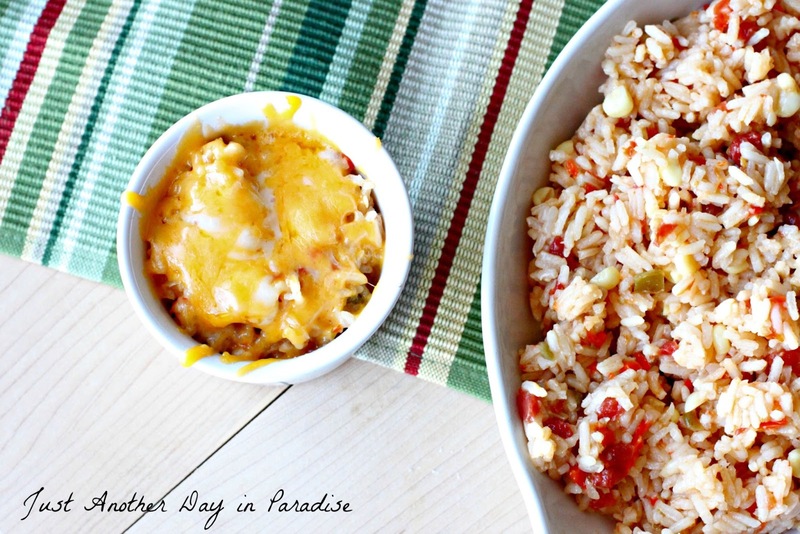 This is a great rice dish. This goes in my keep and make again file. Excellent flavor. I used to make Rice-a-Roni, but it has MSG in it and so I'm always on the lookout for home made rice dishes where I control what goes in it. Thanks for sharing. I am so glad that you liked it! My husband was a BIG Rice A Roni fan too. He loves this and it totally takes the place of the boxed mix.